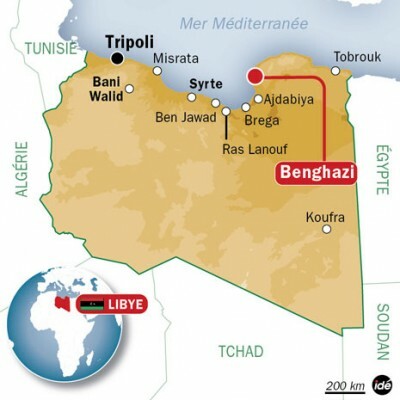 US Congressman Trey Gowdy recently invited the American media to ask questions about the Benghazi incident which led to the death of the United States ambassador to Libya, J. Christopher Stevens back in 2012. Gowdy is apparently Donald Trump’s choice for US Attorney General if Trump becomes the president of the United States. That the ‘Benghazi Incident’ is the subject of a state cover up is not in doubt. My guess is that the late ambassador Stevens was involved in liaising with the Islamist militants NATO aided in overthrowing the regime of Colonel Muamer Gaddafi. The term “militants”, of course, refers to al-Qaeda sympathetic groups such as the now disbanded Libyan Islamic Fighting Group (LIFG). The British Special Forces regiment, the SAS, were instrumental in training them and coordinated their advances when French and other NATO jets bombarded Gaddafi’s forces. Benghazi was the route through which these fighters and weaponry were transferred to Turkey en route to the next theatre for NATO destabilisation: the Ba’athist government of Bashar al Assad in Syria. The murky matter of “stand down” orders and the other strange events leading to the disaster may have involved competing factions within the intelligence agencies of the United States. Some talk about a “Mormon Faction” within the US National Security apparatus springing an ‘October Surprise’ aimed at simultaneously embarrassing the incumbent Barack Obama and bolstering the electoral prospects of his rival Mitt Romney. Whatever the truth of that, it would appear that the subsequent fall from grace of retired US Army General David Petraeus, who was then the head of the CIA, was tied into this political infighting. But the pith of the thesis of a transaction gone wrong in regard to weapons and fighters being transported from Benghazi to Syria will likely be vindicated when the truth is finally revealed. It is worth noting for the benefit of the “Obama-is-a-Muslim” hating crowd that the United States has had a longstanding relationship with the Muslim Brotherhood dating back to the Eisenhower years and continuing up to the support given during the tenure of Ronald Reagan to the Afghan Mujahedeen -many of them foreign Islamist mercenaries including a young Osama bin Laden- against the Soviet occupation. The administration of George W. Bush also re-orientated its Middle East strategy in the mid-2000s to bolster support for Sunni Islamist groups (read: al Qaeda) against Shia forces in Lebanon (Hezbollah), Syria and Iran. These groups of course metastasized into the Jamaat al Nusra brigade and the Islamic State fanatics of present day infamy. Speaking of suspected massive covers ups, stand downs, traitorous decision-making and so on, I wonder if Congressman Trey Gowdy would be minded to invite the press to ask what the true story was behind the destruction of the USS Liberty back in June of 1967? After all, the pursuit of truth and justice should go beyond the narrow confines of party political point-scoring.